Translating J2Store in your language is very easy. 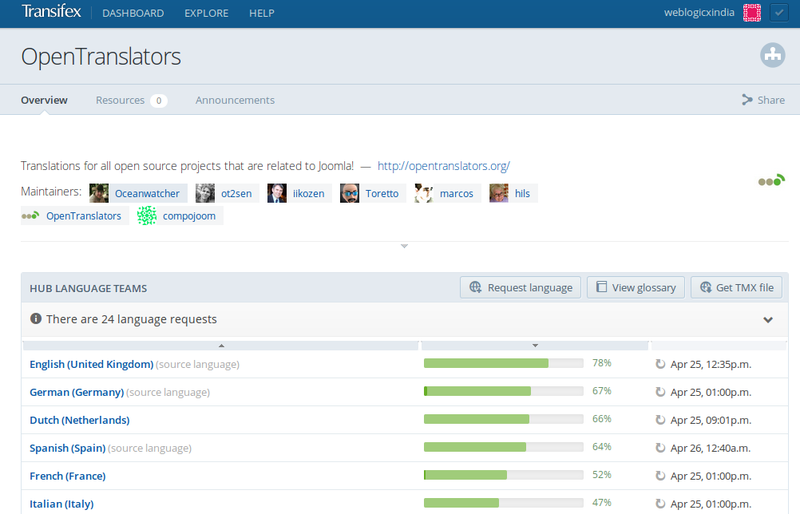 All the language files are managed in Transifex, an effective localization platform. 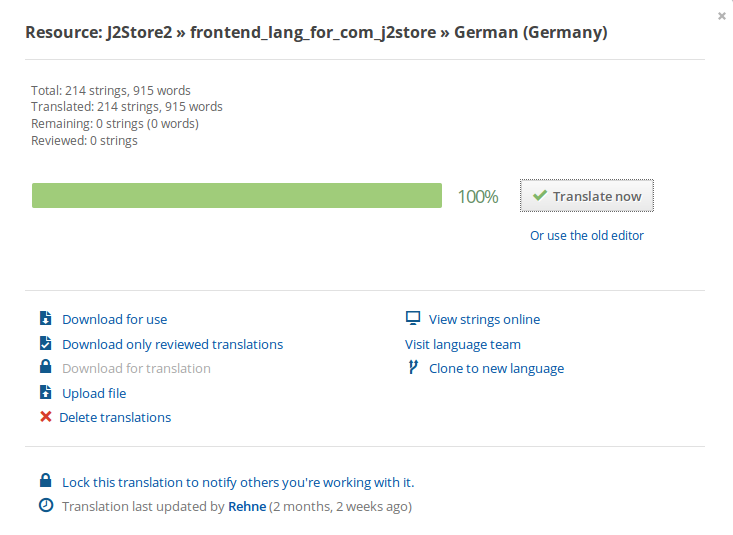 This guide should help you get J2Store to work in your language with a few easy steps. Go to http://J2Store.org/translations.html to check if the translation for your language is available. If you see your language listed and the progress bar indicating 100 %, then you can click on the name of your language to download the translation pack. If you see the translation for your language is not complete or don't see your language listed at all, you need to translate the J2Store. Don't worry. It is easy to translate J2Store to your language. Transifex makes it easy. Once you joined, go to https://opentranslators.transifex.com and the choose J2Store from a list of child projects. Start typing a few letters in the box and you can get to see J2Store project. See the image below. Once you choose J2Store you can see a list of the language resources. They are normally the standard Joomla language ini files for admin and site side of the J2Store component. We call these files in Transifex as resources. Click a resource to start translating. For example click on the J2Store → admin_com_J2Store_menu. This will open a pop up. Once you have translated, inform us. We will make an installable package and make it available for download at http://J2Store.org/translations.html immediately.